Listen to "Rules for Radicals" on your iOS and Android device. 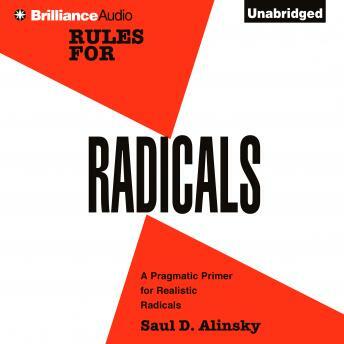 First published in 1971, Rules for Radicals is Saul Alinsky's impassioned counsel to young radicals on how to effect constructive social change and know "the difference between being a realistic radical and being a rhetorical one." Written in the midst of radical political developments whose direction Alinksy was one of the first to question, this volume exhibits his style at its best. Like Thomas Paine before him, Alinsky was able to combine, both in his person and his writing, the intensity of political engagement with an absolute insistence on rational political discourse and adherence to the American democratic tradition.